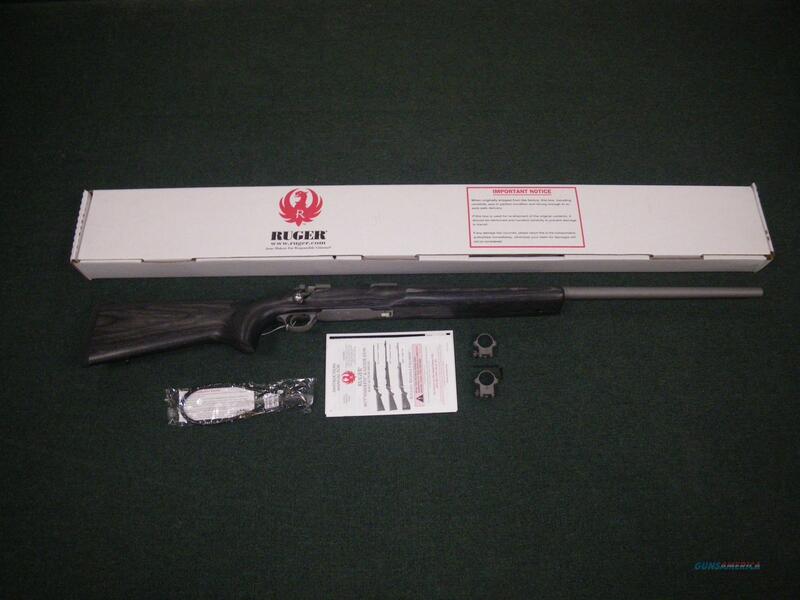 Description: You are bidding on a new Ruger Hawkeye Varmint Target rifle in 22-250 Remington with a 26" barrel. This rifle comes with a non-rotating, Mauser-type controlled round feed extractor, the most positive case extraction system ever invented, and features a fixed blade-type ejector that positively ejects the empty cases as the bolt is moved fully rearward. A three-position safety is easily accessible and allows the shooter to lock the bolt or to load and unload the rifle with the safety engaged. The heavy contour cold hammer-forged barrel with target crown results in ultra-precise rifling that provides exceptional accuracy, longevity and easy cleaning. It includes factory scope rings and a target fore-end. Displayed images are stock photos. Any questions please feel free to ask (our phone number is in the additional information tab above).